The temps are supposed to go way below zero tonight. I think all of the birds have figured it out, finally. One of my least favorite parts of keeping Icelandic Chickens is their love of roosting in trees. It wouldn’t matter if we didn’t have weasels that kill them in the trees. We’ll find them in the morning, dead on the ground, with only a couple of puncture wounds. Pyrs can’t help birds roosting high up in the trees. They also can’t stay warm enough when it’s really cold. 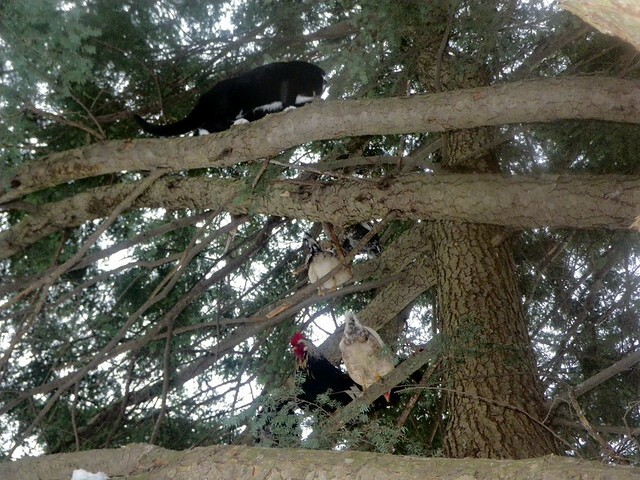 A couple of chickens roosting together in the tree when it goes below zero are a couple of frozen to death birds. I’ve gotten pretty good at using Tara to chase them down. When the hoses aren’t frozen, water will work, too. But I walked around this afternoon looking to see if I could spot anyone in the trees, and it looks like they are all in either the one of the coops or one of the barn stalls. Smart birds! Still, it looks like we have some more wing feathers to trim. 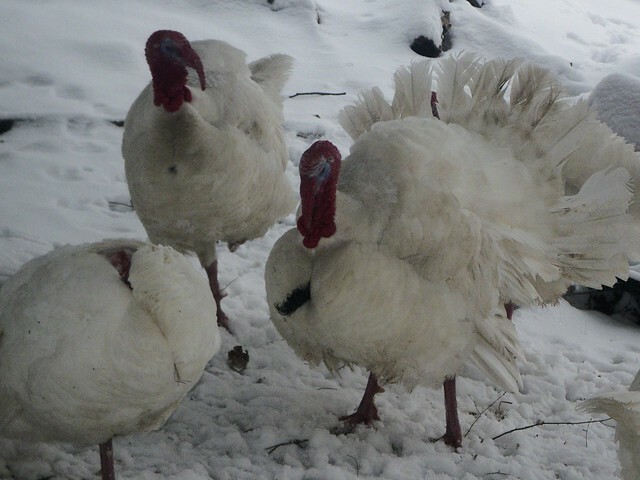 The only birds still deciding to spend the night outside are the five tom turkeys and the entire flock of geese. Those I’m not worried about. They seem to be fine no matter how cold it gets. Any of them could go into the barn for the night, but they never, ever do. Freaks. This entry was posted in Chickens, Geese, Turkeys. Bookmark the permalink. Post a comment or leave a trackback: Trackback URL.